British Airways says "many" of its IT systems are up and running, but travellers still face cancellations and delays after a global computer failure grounded hundreds of flights. BA chief executive Alex Cruz says the airline is running a "near-full operation" at London's Gatwick Airport and plans to run all scheduled long-haul services from Heathrow on Sunday. But he says there will still be delays, as well as some cancelled short-haul flights. Passengers still face hours-long lines to check in, reclaim lost luggage or rebook flights at Terminal 5, BA's hub at Heathrow. Cruz says to reduce overcrowding travellers will only be let into the terminal 90 minutes before their flights. In a video statement, Cruz apologized, saying "I know this has been a horrible time for customers." "Work continues to restore all of our IT systems but we expect some further disruption today," BA said in a statement. 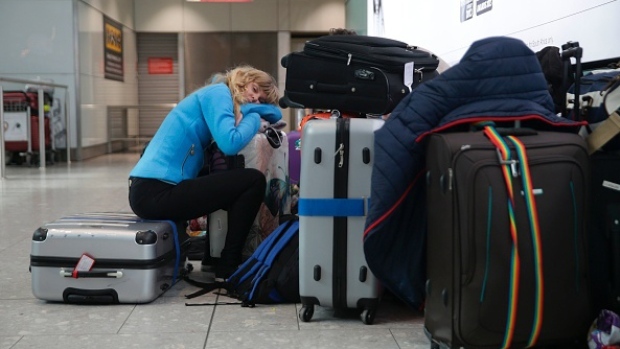 BA cancelled all flights from both airports Saturday, upending the travel plans of tens of thousands of people on a busy U.K. holiday weekend. It blamed a power supply issue for the outage and said there was no sign it was under cyberattack. On Saturday, passengers at Heathrow and Gatwick faced long lines at check-in counters and the failure of both the airline's website and its mobile app. BA said the crash also affected its call centres. 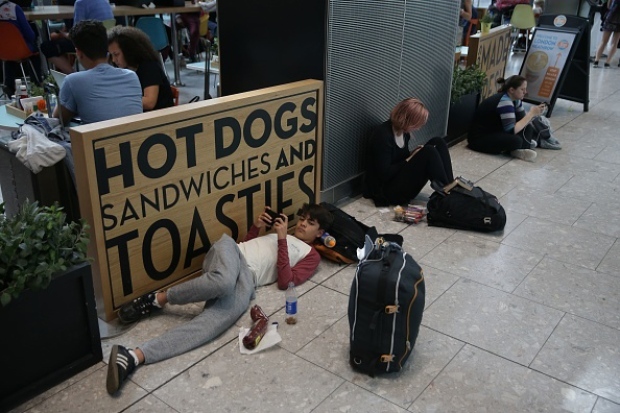 "Some 80-year-old lady was standing around waiting for announcements, et cetera, and she fell over," said Londoner Terry Page, who managed to get on one of the last flights from Heathrow to Dallas-Fort Worth Saturday. He and other passengers arrived, but their luggage did not. "We helped her up and she said 'I'm just so tired,"' Page said. "It's been a terrible, terrible day." While not that frequent, when airline outages do happen, the effects are widespread, high-profile and can hit travellers across the globe. In August 2016, Delta planes around the world were grounded when an electrical component failed and led to a shutdown of the transformer that provides power to the airline's data centre. Delta said it lost $100 million in revenue as a result of the outage. Erin Kennedy, spokesperson for the Greater Toronto Airports Authority at Toronto's Pearson Airport, said there are two British Airways flights scheduled to arrive and two scheduled to depart from Pearson on Sunday. She said the GTAA expects the flights will proceed. However, the GTAA is advising passengers to check with the airline before travelling to the airport. Two British Airways flights scheduled to leave Pearson on Saturday were cancelled. The first British Airways flight, now that airline computers are being restored, arrives mid-afternoon on Sunday, she said.